The 2019 Sierra Vista Little League and Ponytail Softball opening ceremonies took place Saturday at the Stone Sports Complex. Diamondbacks Aqua player Amari Randolph, 8, has a good time at Saturday’s opening ceremonies for the Sierra Vista Little League. 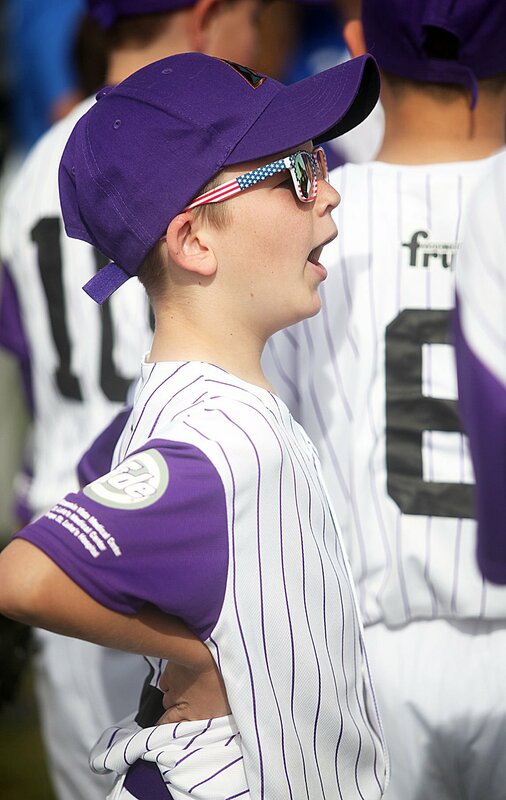 Mason Picklesimer, 10, waits with his Diamondbacks Pinstripes mates for Saturday’s opening ceremonies to begin. Vinny Hermosillo, 6, and Diamondbacks Neon Green teammate Gianna Bays, 5, while the time away Saturday at the Stone Sports Complex. Diamondbacks Gold player Michael Porretta, 6, gets excited while joining this weekend’s opening ceremonies in Sierra Vista. Diamond Crushers player Lauren Potter, 8, refreshes herself Saturday at the Stone Sports Complex. Sierra Vista Little League and Ponytail Softball teams participate in Saturday’s opening festivities held in the Stone Sports Complex.